It’s nearly that time of year again and, to celebrate, we thought we would give you the chance to win some Canterbury Cathedral Christmas treats in time for December. 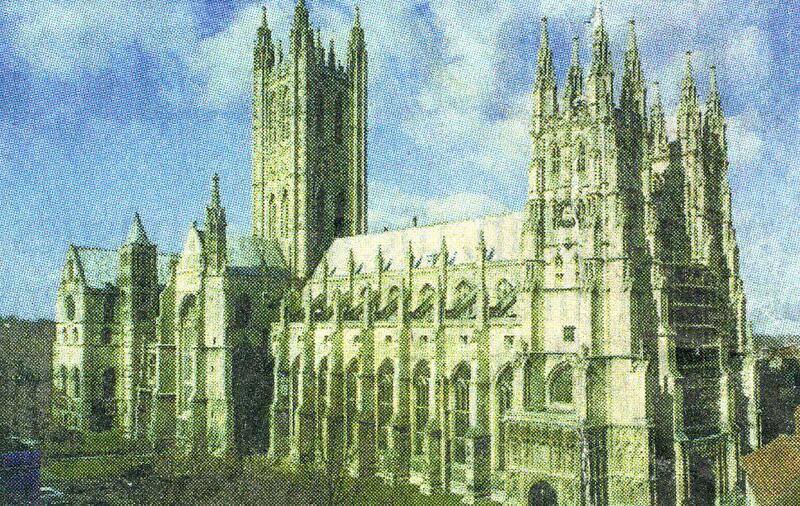 A Canterbury Christmas: a CD of music for Advent and Christmas sung by the Choir of Canterbury Cathedral, directed by David Flood with Timothy Noon playing the organ. It includes music by Rutter, Byrd, Tavener, Britten and Lauridsen’s “O Magnum Mysterium”. The Canterbury Cathedral Advent Calendar: This exclusive A3 advent calendar by Alison Gardiner is brightly illustrated to show a procession to the crib service on Christmas Eve in the Cathedral’s Precincts. The choir, clergy, Archbishop, crib and St Nicholas are amongst the characters that can be identified in the cheerful snowy scene. Archbishop decoration: famous Archbishop Rowan Christmas tree ornament, 6” (15cm) high.This may soon be a collector’s item! A famous newspaper printed in April 2012 this image of the Cathedral; can you tell us what is wrong with the picture? Email your answers to pressoffice@canterbury-cathedral.org by Monday 19th November 2012. The Cathedral shop is bursting with goodies and ideas to help you spoil your loved ones. From cards and gifts to decorations, the shop has it all and you can browse the collections from the comfort of your armchair: just click here. Congratulations to Mrs Lord who entered our I spy competition and correctly identified all eight Cathedral Images. The beautiful hand painted stained-glass replica of the famous depiction of Thomas Becket is on its way to you.